We are exposed to some of the deadliest toxins at the dentist’s clinic. We need to know WHAT they are and HOW to avoid them. Although it is necessary for us to visit the dentist regularly for good dental health and hygiene, dental work can expose us to a certain degree of toxins. We need to be aware of what goes on in the mouth during dental work, to prevent unnecessary chemical exposures. You will be shocked with what we are exposed to with careless dental work. Look around for a dentist who uses safe materials with minimum chemical odors and contamination. When you visit the dentist, you will be exposed to any of these chemicals: acrylic, formaldehyde, nitrous oxide, phenol, mercury, cadmium and lead. Other toxic exposures can include latex, colorings, flavorings, local anesthetics, and x-rays. 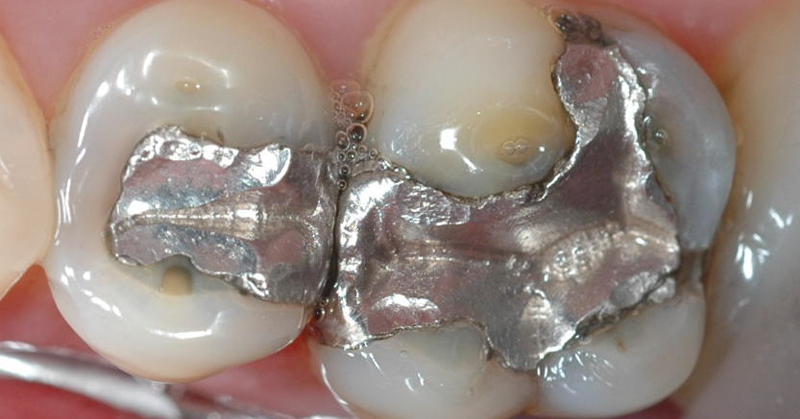 At one time, the amalgam mercury filling was the most common filling used. Although the American Dental Association (ADA) is aware that mercury does leach out of the fillings, they claim that they are at a safe level. Don’t believe this!! Mercury (or quicksilver), even at a very low level can be very toxic. Mercury contamination can be responsible for dementia, limb numbness and tingling, insomnia, thrush, sinusitis, IBS, muscle spasms and burning sensation on the skin. The problem is that when you see the doctor about these problems, they will most likely tell you that they’re not related. In pregnant mothers, mercury contamination can be passed on to their fetus and can cause physical defects. Babies may be born blind, deaf, mentally retarded, or have cerebral palsy. It is sad that due to ignorance, so many lives will have to suffer. If you have mercury fillings, consider having them removed and be refilled with safer alternatives like composite fillings, porcelain or glass ionomers. However, the dentist you choose to do this job has to understand the toxicity of mercury poisoning and know how to take measures or advise you to minimize poisoning. Otherwise, you may end up with MORE poisoning than if you had not removed it. I was so anxious to have my mercury fillings removed that I made the mistake of having it removed by a dentist who did not take the necessary precautions. About two years later, I suffered immunity system breakdown which also caused a bacterial infection in my body that I couldn’t quite put my finger on, until I read an article about this. I later consulted a Naturopath and a Homeopathy Practitioner who both confirmed the cause of my immunity system breakdown. I then had to go on an extended fast and detoxification, aimed at removing the bacterial infection and rebuilding my immunity. Root canal is a treatment used to repair and save a decaying or infected tooth. During a root canal procedure, the nerves and pulp are removed and the inside of the tooth is cleaned and sealed. The root of a tooth has over three miles long worth of tubules that can harbor anaerobic bacteria that produces toxins. These toxins seep out of the root and gets into the body, and create totally unrelated health problems that you would not even suspect that the root cause was from the root canal. Here’s a video by Dr Mercola about why you WANT to avoid root canals. Impression materials: When you are having a crown, bridge or dentures made, an impression of your teeth and gum structure has to be taken to prepare the models. Some of these impression materials contain substances that are toxic and harmful. The odor, when inhaled or minute debris swallowed, may cause poisonings. Polishing materials: When doing scaling to remove plaque and calculus, polishing materials are used that contains chemical flavoring and coloring. Some of these materials can be a toxic exposure to those who are susceptible. Dentures: There are four basic materials used to make dentures. They are acrylic, nylon, polycarbonate and vinyl, with the most common one being acrylic. Acrylic contains a long list of unpronounceable chemicals that can prove toxic. Some common problems related to acrylic contamination are gum diseases, respiratory problems, headaches, fatigue, arthritis, skin rashes, bone diseases and oral cancer. Dentures are a haven for bacteria to breed. Braces: The bands and wires used in braces are metal that may contain iron, manganese, nickel, chromium and titanium that may be sensitive for some people. Some have reported that their vision had worsened since putting on braces. Fluoride in toothpaste: Fluoride is more poisonous than lead. It can be absorbed through the mucous lining in our mouth and accumulate in our system. This accumulated substance is carcinogenic (cancer-causing) and can harm our metabolic system. It can lead to increased hip fractures, osteoporosis, arthritis and even brain damage. Severe toxicity also can lower our human intelligence capacity, especially in young children who are more vulnerable to toxins.